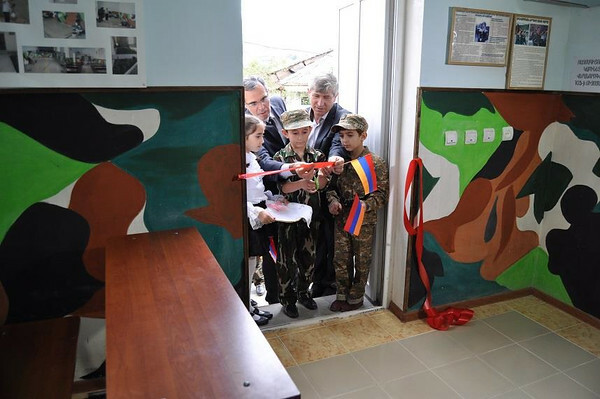 Fifteen hundred students in Armenia’s Tavush Region can now enjoy newly renovated, newly furnished classrooms and athletic grounds. Just a little over a week ago Berd City residents gathered to officially celebrate the openings of three new sports fields, two vocational classrooms, a kitchen, new bathrooms and a stadium in several local schools, all made possible by the Breaking the Cycle of Poverty Program (BCPP). 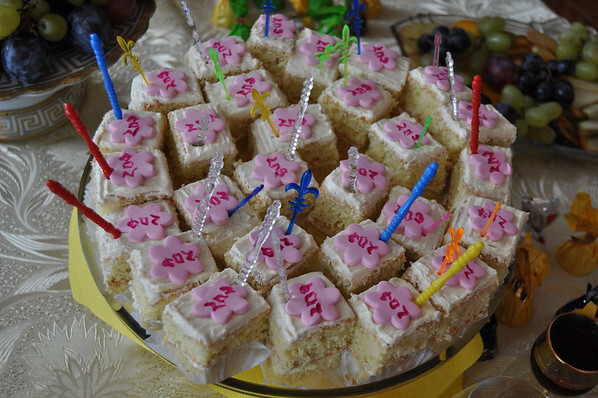 Berd’s No. 4 School now has a newly renovated and partially equipped kitchen, a table tennis classroom and a new bathroom. A beautiful new basketball court was gifted to Berd’s No. 3 School, and Berd High School has a new football stadium. 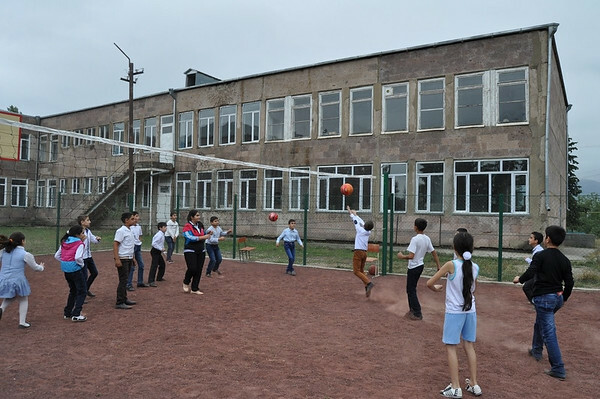 Renovations of the outdoor sports grounds and bathrooms were completed for the secondary schools in the border villages of Nerkin Karmiraghbyur and Paravakar. Financial assistance was also provided to Paravakar for the installment of the school’s new drinking water pipeline. The reopening of the military training classroom at Berd’s No. 1 School was especially touching as it was named in honor of freedom fighter Vahan Baghdasaryan who lost his life during the Nagorno Karabakh War while supplying weapons to defensive positions in Tavush. The classroom was renovated and refurnished. “I can be nothing but proud of my son who sacrificed his life for the defense of the marvelous Tavush. 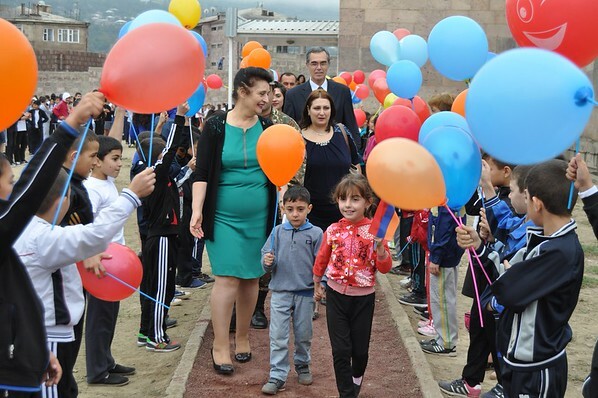 Today it is only with peace that I can say thank you for honoring his memory,” said Vahan’s mother Anahit Baghdasaryan during the opening ceremony. “On behalf of FAR staff I want to thank students and staff of all schools for their participation and help in construction process and their contribution to this important job. 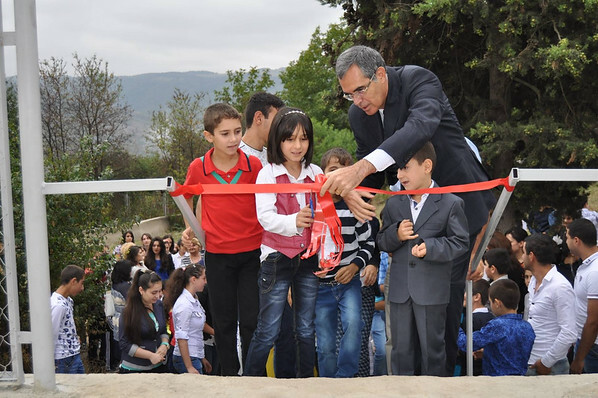 FAR’s BCPP stands with the citizens of Berd and its surrounding villages,” said Education and Science Programs Manager Edik Karapetyan during the celebration. As part of the program’s educational component, BCPP has already supported renovations and refurbishment for more than 10 schools and kindergartens in the Tavush Province. This number will continue to grow later on this year thanks to projects that are still in progress in several other schools in Berd City and surrounding villages. 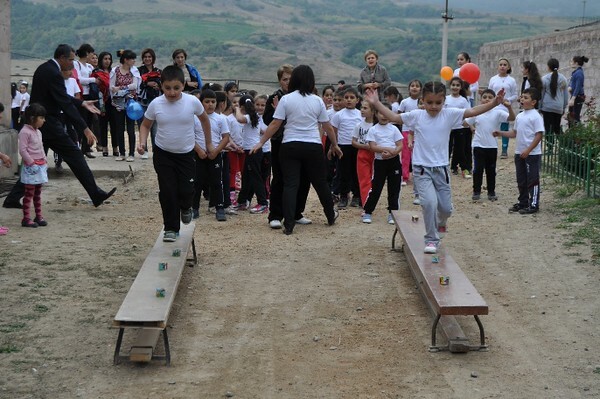 Made possible through support from the Mardigian Family Foundation, BCPP focuses on educational, health, social and economic development in the seven villages of the Tavush Region, as well as in Tavush’s capital of Berd City. The five-year program focuses greatly on improving education and its accessibility as primary way to empower the children of the region with the tools they need to create better futures for themselves and their communities.